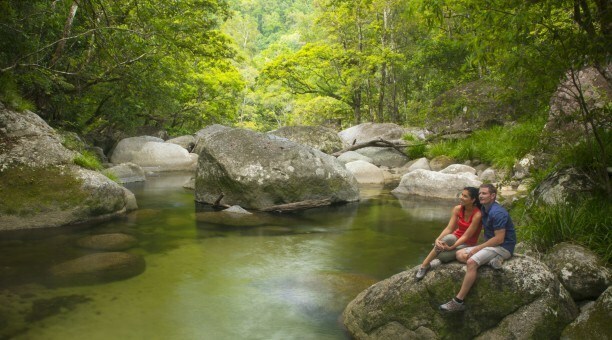 Chances are one of the reasons you are thinking of a vacation to Cairns is to visit the Great Barrier Reef. 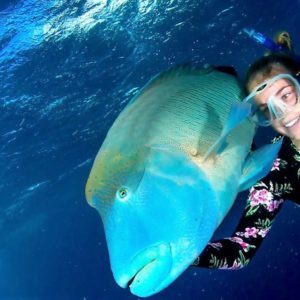 So the question is, why spend only a few hours on the Great Barrier Reef when it is there 24 hours a day. 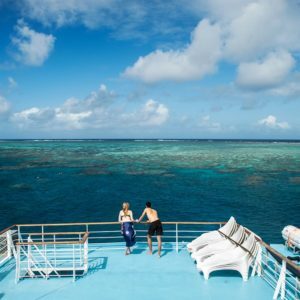 The MV Reef Encounter offers a unique opportunity to stay overnight in a luxurious stateroom while moored at one of the Great Barrier Reefs outer reefs. 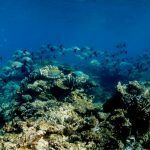 When the daily reef tour boats are all headed back towards the Port of Cairns, you will be appreciating the tranquillity of the reef. While resort guest are waiting in line for a table to have dinner, you will be seated in the Saloon ready for your chef prepared dinner. No rush and no crowds, The saloon is large enough to seat all guest at one time in comfort. As the sun goes down, you can enjoy a cocktail and be in awe of the endless stars overhead. 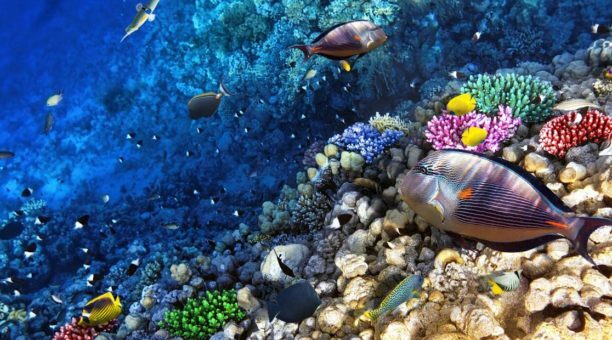 The Great Barrier Reef is considered one of the most beautiful places on earth both above and below the water. Take the time to really enjoy that beauty. 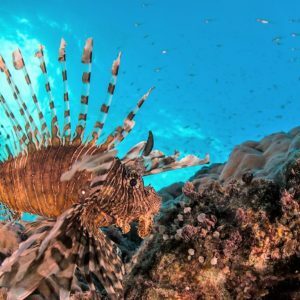 Nothing beats a good night sleep on the reef. 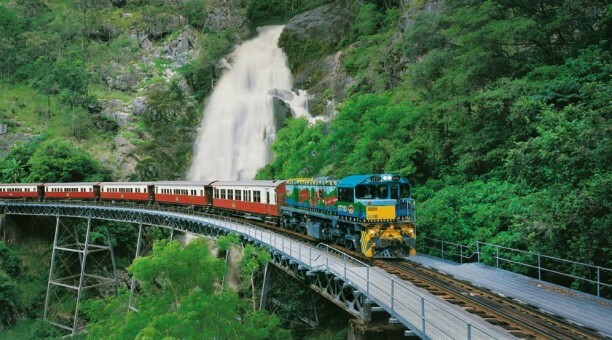 The MV Reef Encounter offers an interesting blend to its guest. 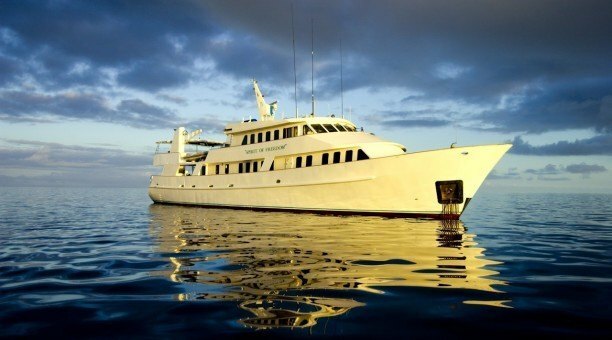 She has the comfort of a boutique hotel and the facilities of a diving Liveaboard. She is a 35 metre long catamaran built along the lines of a luxury mega-yacht. 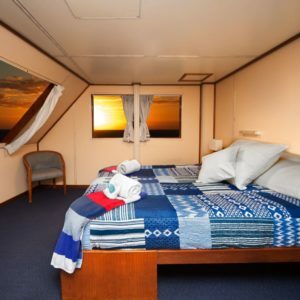 The MV Reef Encounter has 21 luxury staterooms with en-suite facilities located on two decks. Each stateroom has an unobstructed ocean view, Looking out at a seascape that is unmatched by any shore base resort. 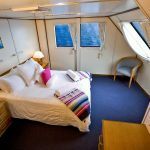 Staterooms are available in either a double bed or two twin bed configurations. The saloon, as on any yacht, is the social centre of the MV Reef Encounter. This is a full air conditioned multifunctional space. A portion of the saloon is set up as the dining area, with ample and comfortable seating for all the guest and crew. The chef prepares three meals a day plus there is a morning and afternoon tea. After sundown there is a late night dessert. The saloon also has a lounge area as well as a bar that is available when your water activities for the day are finished. Large screen televisions can be used to view DVD or to watch the day’s dive videos. Outdoor spaces include a spa/hot tub located on the main deck overlooking the bow. The sun deck provides open space for sunbathing and shelter space to get out of the sun. The forward portion of the sun deck is the wheel house and the helipad is located on its roof. 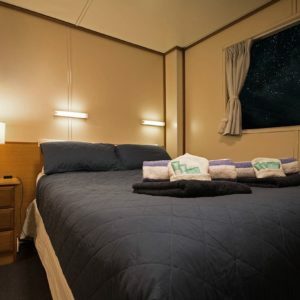 The MV Reef Encounter also has a dive/ snorkeling area on the main deck that leads to a retractable swim platform. While the boat is stationary, the swim platform is lowered to the water level allowing easy access on and of the boat. 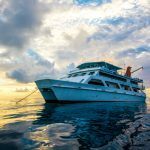 One of the things that is different about the MV Reef Encounter and other diving Liveaboards is that she stays at sea for extended periods. 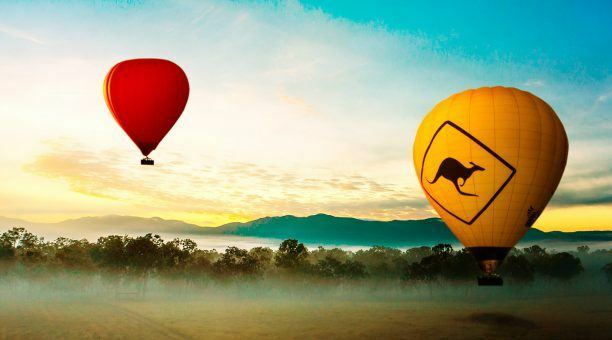 Guest arrive from Cairns aboard a vessel from a sister company, the MV Reef Experience. 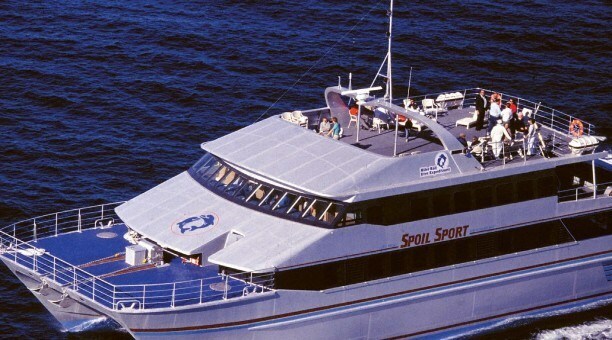 The MV Reef Experience leaves Cairns each morning at 8 am on a snorkeling and scuba day tour. 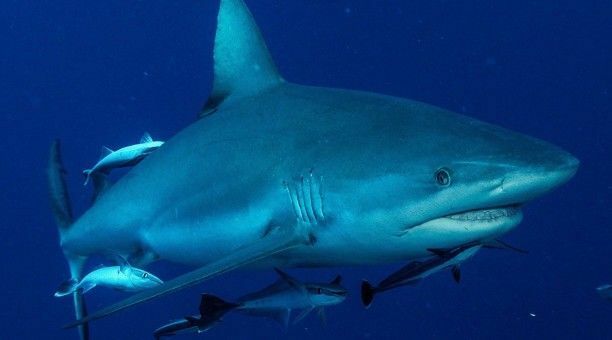 About 90 minutes later it will rendezvous with the MV Reef Encounter and transfer incoming guest as well as fresh supplies for the galley. Later before the MV Reef Experience heads back to Cairns, it will drop by and pick up any guest returning to the mainland. 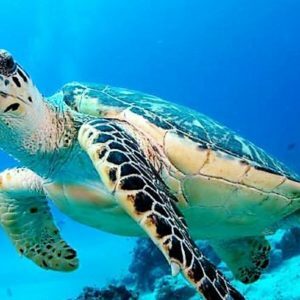 This procedure allows the MV Reef Encounter to receive guest on any day and allows the guest to stay one night or as many nights that they wish. 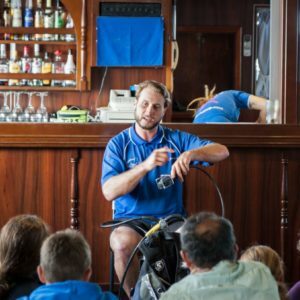 Guest aboard the MV Reef Encounter will experience two or three different locations over the course of the day. 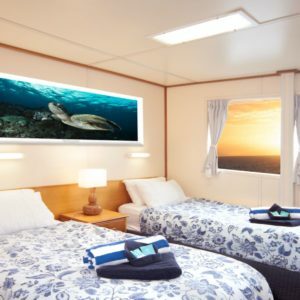 Many scuba divers are attracted to the MV Reef Encounter as a scuba diving Liveaboard because of the excellent diving and the comfortable accommodations. 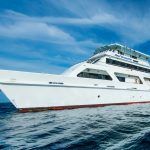 It has all the features of a dedicated Scuba Liveaboard and is still attractive to a non-diving companion. 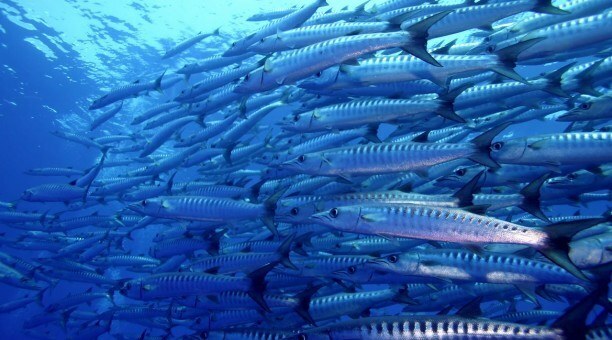 A number of different scuba diving packages are offered so the diver can tailor the visit to their needs. 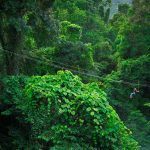 Some of the packages include speciality training programs. 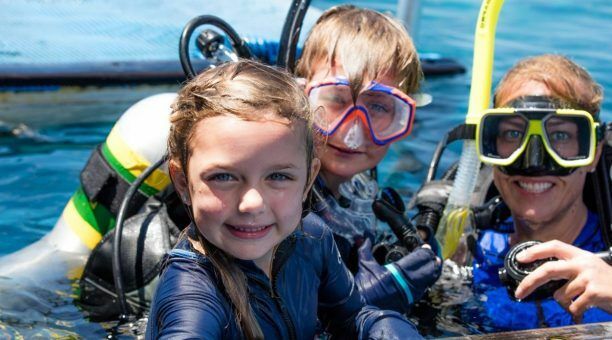 The MV Reef Encounter is the leading Scuba Schools International (SSI) facility in Cairns. 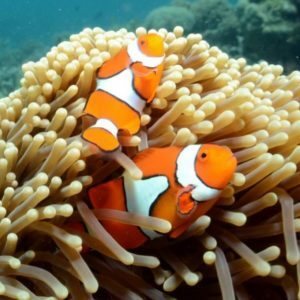 There are five water sessions a day available to the guest for snorkeling or scuba diving, with a night dive available for scuba divers. 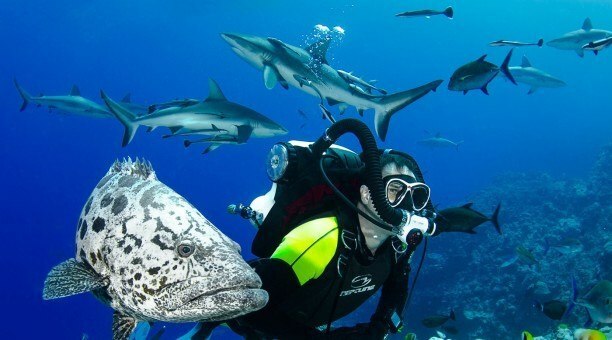 Scuba Divers are allowed to scuba on four of the sessions and may snorkel on the others. 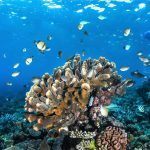 Those who are not certified divers will still be able to sample what scuba diving on the Great Barrier Reef is all about. 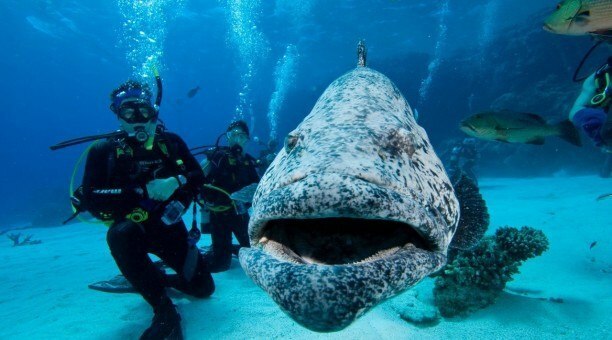 These guest can participate in a introductory resort dive demonstration at no extra charge. 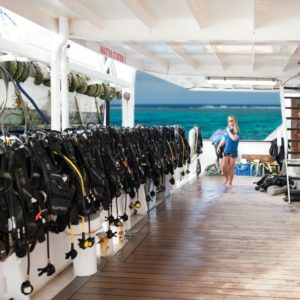 A resort or introductory scuba dive program that allows those not certified to take a dive alongside a scuba instructor. These are some of the highlights that you can expect aboard the floating boutique hotel / scuba diving Liveaboard the MV Reef Encounter. 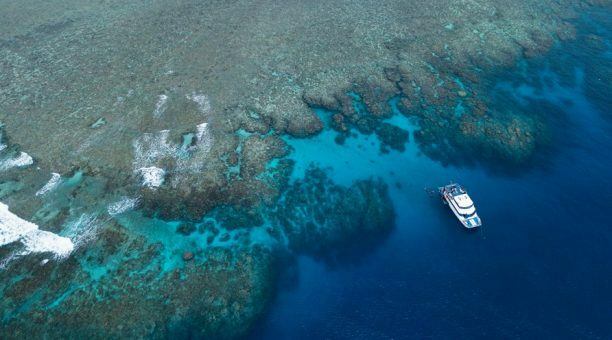 You owe to yourself to explore the reef fully and the way to do that is to sleep on the reef for a few nights.